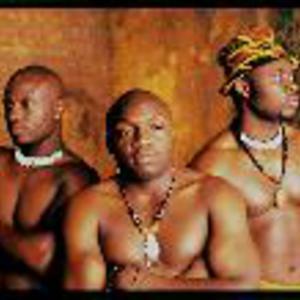 JABALI AFRIKA originates from East Africa's Kenya. The band's original sound, however, is attributed to its own unique mixture and special fusion of African rhythms. This is a truly multi-faceted band whose members are not only adept at composing songs, playing a variety of instruments, and blending their voices into a harmonious sound but, are also talented dancers and choreographers. The band's origin can be traced to the Kenya National Theatre Dance Troupe. In 1993, feeling unnecessarily censored, some of the members of the troupe became dissatisfied with the choices in their repertoire. In their frustration, Joseck Asikoye, Victor Elolo,Justo Otongo, Evans Chagala and Robert Owino broke away from the troupe and formed what is known as JABALI AFRIKA.